Landmarking a building or neighborhood is said to have many values. But some you can take to the bank. Have you ever talked to someone who is saving thousands of dollars every year on their taxes by investing in renovating a landmark building? Dan Nehm, a long term East Village resident, will share his experience in doing just that at the April meeting of the East Village Association on Monday (not Tuesday) April 6. 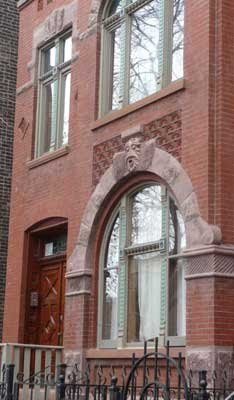 Nehm's renovation was already under way when the city's Ukrainian Village landmark district was created. He proceeded with his renovation plans and learned the rules for applying for a freeze of his real estate taxes. Join us to hear how easy the process is, and the savings he has received. The meeting starts at 7 p.m. at the Happy Village, 1059 N. Wolcott. Also on the agenda: an update on plans to move the Wicker Park post office.